Your vacation object: The Holiday apartment is located on a an enclosed garden property with meadow. The property is enclosed with a fence. The landlord does not live in the house or on the property. The house has a panoramic elevator. Your holiday apartment: Your holiday apartment offers 1 floor, 1 room, is 26 sqm and can accommodate up to 4 persons. The rooms are divided as follows: Living/bedroom with 1 double bed and 2 additional beds and TV. You have access to the 3 sqm, covered balcony with garden furniture, 1 table, 2 chairs and parasol. Cooking nook with electric cooker (2 plates), exhaust hood, refrigerator, microwave, coffee machine, toaster and electric water boiler. Bathroom with shower and WC. 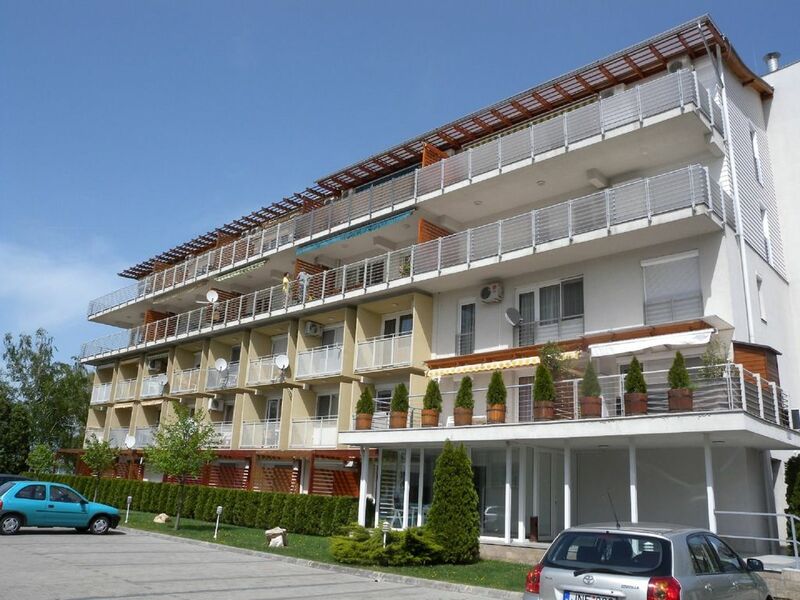 In addition, your holiday apartment is equipped with WLAN- internet access. TV or radio channel can be received per satellite. Pets: erlaubt, EUR 5.00/Tier und Tag. Die direkte Lage am See. Einfach toll die Unterkunft. Ein kleines Manko....Betten sehr hart und Klimaanlage wäre noch super. Einfach toll die Unterkunft. Ein kleines Manko....Betten sehr hart und Klimaanlage wäre noch super. Aber ansonsten sehr empfehlenswert!